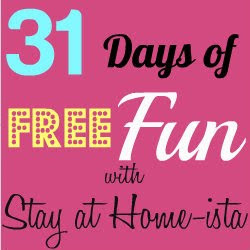 Stay at Home-ista: A Fireman Birthday Party- at a Fire Station! 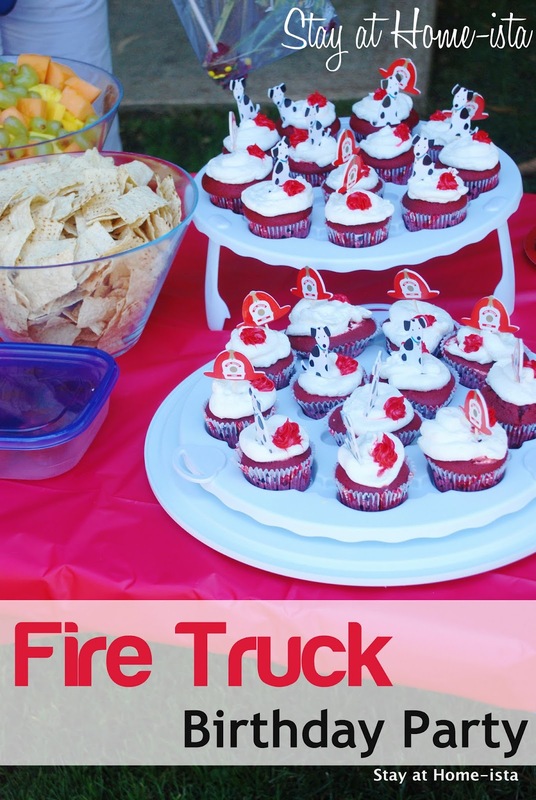 A Fireman Birthday Party- at a Fire Station! My little guy just turned 4, so to celebrate we threw him a birthday party actually *at* our local fire station. He loved fire engines, fire trucks, firemen, fire hoses, fire hats, fire dogs.... you get the idea, so this was the perfect 4 year old birthday party idea. Did you know they did this? And for free, I might add:) Plus they give out hats and stickers, which just means I added bubbles and pinata candy and called it a day on favors. You can read more about how I feel about party favors here. First we all met at the fire station, where the fire fighters put on a safety demonstration for the kids about fire safety, and their gear. Next, the kids get to go outside and actually spray the water hose down the street. Post fire station, we walked around the corner to a local park for snacks and playing. The kids played on the play structure while grown ups talked and snacked (I bought Sofia cans of champagne which are the most brilliant invention ever). Then time for a Firefighter Fire Engine Pinata (from Amazon , where all good things come from). What a fun party! I love how the kids got to spray the water hose! My little boy would love that! So cute! We also made a fire station party for my son when he turned 3 and he LOVED it. They didn't let the kids use the hose, but they did give all the kids rides in the fire engine! Cutest birthday party ever! And I totally didn't know about the fire station hosting parties. That's awesome! Oh this looks SO SO fun! Definitely keeping it in mind for Westo's fourth!